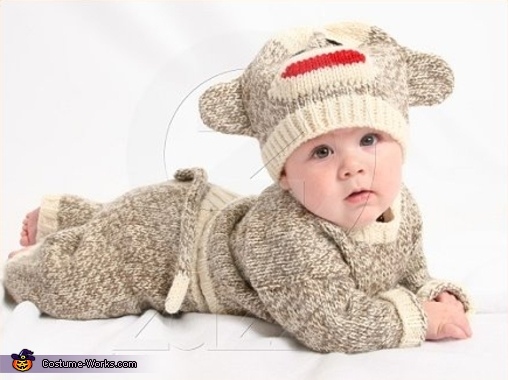 This is 6 month old Liam in his Sock Monkey outfit that was hand knitted just for him. The little Babes just steal my heart In Costume...or not. to the proud parents of Liam. This homemade costume for babies entered our 2008 Halloween Costume Contest.